According to reports on some of the other gaming news websites, Sega have launched a brand new website. Many of the news sources are saying that it is Sega that have set up the domain name, but we beg to differ. Let’s face it, anybody can set up a website domain name and name it Sega.Jp which is the website address. Who’s to say that this website is directly associated with the game giants? We could be wrong however, but it’s always good to remain sceptical until being proved otherwise. 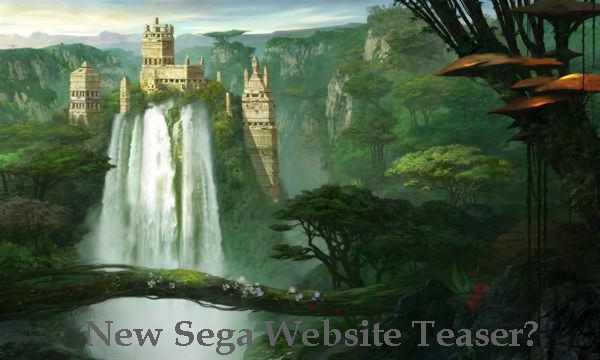 In all honesty, we do think that Sega own the website and are going to unveil a brand new video game. There is a sort of countdown clock on the site that 02/12 which mean February 12th. Also there is some fine concept art as well that doesn’t represent any video game that Sega have been associated with in the past from first glance. You can visit the website here and tell us what your personal opinion is or whether or not it’s just a hoax from a bored gamer.